Mayor Lee Brand and City Manager Wilma Quan-Schecter today announced that Jim Schaad has been named the City of Fresno’s new Director of Transportation, effective September 25, 2017. Schaad, who had been serving as Assistant Director for the Department of Transportation, replaces interim Transportation Director Bruce Rudd. Schaad served as an assistant director for the Transportation Department for the past 6 years, where he was responsible for the Department’s capital projects and maintenance operations. He recently led efforts on the City’s Bus Rapid Transit line, which is expected to start service in the first quarter of 2018. 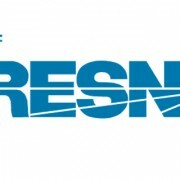 He entered the public sector 15 years ago, where he began managing ongoing operations and capital projects for the City of Fresno’s Fleet Management Division. Prior to civil service, Schaad spent 16 years managing various manufacturing operations in the private sector. He has also taught at California State University, Fresno as an adjunct professor for the last 18 years. Schaad has a Bachelor’s degree in Industrial Technology from California State University, Fresno and a Master’s in Business Administration from Portland State University. He and his wife Lynn have been married for 28 years and have two adult children.